Screening For Depression: How To Tell If It Is Depression? - Work Smart. Live Smart. 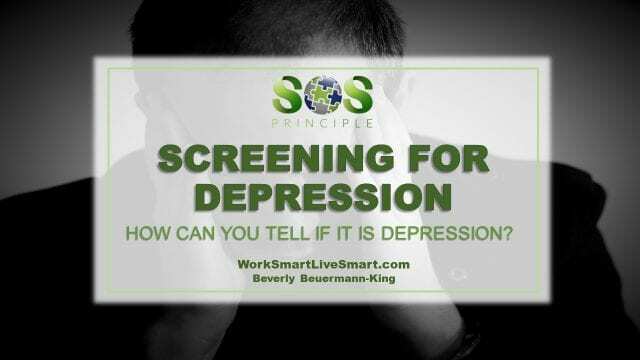 Screening For Depression: How To Tell If It Is Depression? Before screening for depression, we need to understand what it is. Depression is a biochemical disorder that causes changes in a person’s mood, behaviour, and feelings. Symptoms include sadness, fatigue, sleep and appetite disturbances, difficulty concentrating, feelings of hopelessness, restlessness, or decreased activity, loss of interest in usual activities, aches and pains with no other medical cause, and finally thoughts of death or suicide. 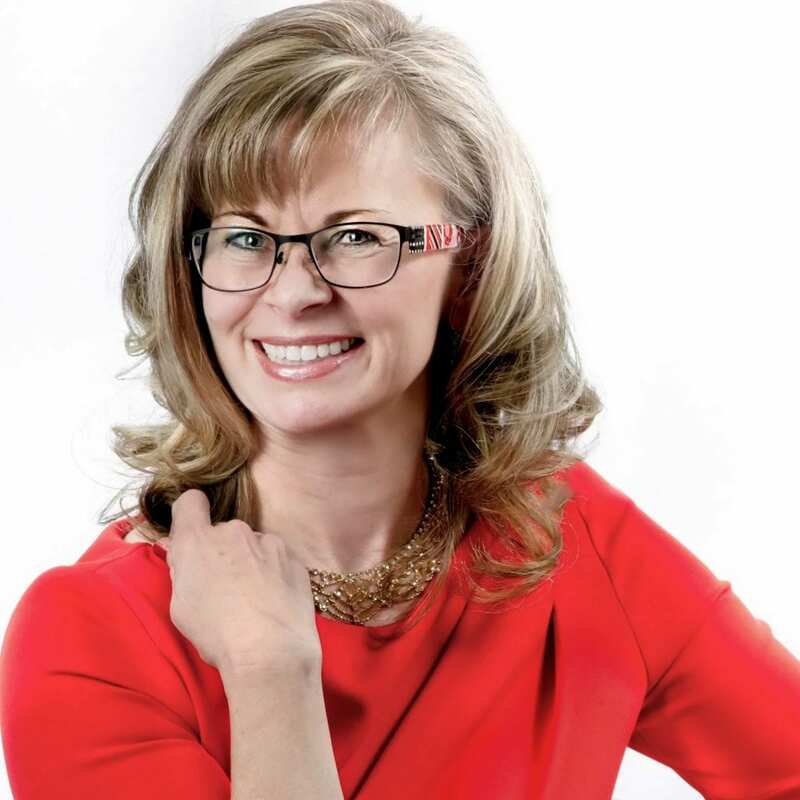 We all have experienced some of these symptoms at one point or another, but, it may be considered the illness of Depression when the symptoms last for more than a couple of weeks and they start to interfere with your home or work life. Stress does play a role in the illness Depression. However, stress is not the cause of the illness, but stress can bring the symptoms about, or make the symptoms worse. Stress is our response to the many situations and experiences of our life like, too much to do, or the death of a loved one. Our stress response uses a lot of energy and releases many chemicals and hormones. The brain receives and sends trillions of messages a day. Excessive stress can place too many demand on these neurotransmitters and they begin to fail in delivering their messages properly. How much excessive stress it takes to bring about Depression depends on our genetic make up. Some people can experience all kinds of stress and will not get Depression. Others may have a history of Depression in their family, and stress will bring those symptoms about. On average, about 1 in 10 people will experience Depression at some point in their lifetime. (If you have a parent who has Depression, your chances rise to about 1 in 4.) It makes sense then to take care of the stress in our lives and to be aware of the symptoms of Depression. These screening tools have been found helpful in determining if someone should seek the advice of a health professional. Careful inquiry into SIGECAPS — Sleep, Interest, Guilt, Energy, Concentration, Appetite, Psychomotor function, and Suicide — are of critical importance in diagnosing depression. Complaints in 4 or more of these categories (feeling guilty, sleeping poorly, having low energy, etc.) point to a major depressive episode. Two or 3 complaints may suggest “minor depression,” though this category should not be dismissed lightly. Left untreated, some patients with less severe depression may worsen. If time does not permit SIGECAPS questioning, patient-completed questionnaires can also be used. The most widely used self-completed depression scale is the Beck Depression Inventory (BDI), which was first introduced in 1961. The BDI consists of 21 items covering most dimensions of major depression, including suicidal ideation and plans. A self-rated questionnaire is the PHQ-9, or Patient Health Outcomes-9 Symptom Checklist. Read each item carefully, and indicate your response. 2. If you checked off any issue on this questionnaire so far, how difficult have these problems made it for you to do your work, take care of things at home, or get along with other people? The PHQ-9 questionnaire consists of 2 parts. The first section contains 9 separate questions in which the person circles the appropriate response for duration of the described feeling. Part 2 is a single question that assesses the functional health of the patient based on the questions in Part 1. The results are then tallied by the clinician to determine if the individual warrants treatment for depression. The total score can fall into 3 ranges. Scores less than 4 usually indicate that the patient does not require treatment, whereas scores greater than 15 would necessitate therapy. Scores between 4 and 15 are intermediate, with the decision to treat left up to the clinician and patient. The length of time the patient has experienced the symptoms and functional impairment should be considered for patients falling into this intermediate category. The PHQ-9 eliminates the need for questioning in all areas of depressive symptoms and allows the clinician to focus only on those requiring attention. Two self-completed scales aimed at detecting bipolar disorder have been validated recently, the Mood Disorder Questionnaire (MDQ) and the Bipolar Spectrum Diagnostic Scale (BSDS). These scales may help sort out the difficult but critical issue of unipolar vs bipolar depression. Indeed, all patients with depressive complaints should be carefully screened for periods of mania, hypomania, or mood instability. Some individuals notice that their mood and/or energy levels shift drastically from time to time__ . These individuals notice that, at times, their mood and/or energy level is very low, and at other times, very high__ . During their “low” phases, these individuals often feel a lack of energy; a need to stay in bed or get extra sleep; and little or no motivation to do things they need to do__. They often put on weight during these periods__ . During their low phases, these individuals often feel “blue”, sad all the time, or depressed__ . Sometimes, during these low phases, they feel hopeless or even suicidal__ . Their ability to function at work or socially is impaired__ . Typically, these low phases last for a few weeks, but sometimes they last only a few days__ . Individuals with this type of pattern may experience a period of “normal” mood in between mood swings, during which their mood and energy level feels “right” and their ability to function is not disturbed__ . They might then notice a marked shift or “switch” in the way they feel__ . Their energy increases above what is normal for them, and they often get many things done they would not ordinarily be able to do__ . Sometimes, during these “high” periods, these individuals feel as if they have too much energy or feel “hyper”__ . Some individuals, during these high periods, may feel irritable, “on edge”, or aggressive__ . Some individuals, during these high periods, take on too many activities at once__ . During these high periods, some individuals may spend money in ways that cause them trouble__ . They may be more talkative, outgoing, or sexual during these periods__ . Sometimes, their behavior during these high periods seems strange or annoying to others__. These individuals get into difficulty with co-workers or the police, during these high periods__ . Sometimes they increase their alcohol or non-prescription drug use during these high periods__. [ ]This story fits me very well, or almost perfectly. [ ]The story fits me fairly well. [ ]It fits me to some degree, but not in most respects. [ ]This story doesn’t really describe me at all. Scoring: One point is given for each sentence checked. Maximum total score is 25. 12-19: moderate probability of bipolar spectrum disorder. These scales are not to be used for self-diagnosis – but can be great tools to be used for focused conversation with a health professional. Don’t diagnose the problem yourself, but learn the signs and symptoms of depression and where help can be found. Help break down the stigma often associated with a mental health condition. Provide opportunities to educate and discuss the issues surrounding mental illness. As an employer, recognize the need for flexible work schedules while the employee is getting help. Look for ways to increase support and decrease stress. Remember that severe depression may be life threatening to the employee, but rarely to others. If an employee makes comments like “life is not worth living” or “people would be better off without me,” take the statements seriously. Immediately call a counselor or community mental health specialist and seek advice on how to handle the situation. Maintain confidentiality as best you can.